Just over a week ago the Edinburgh International Festival sent my wife and I along to see the Mariinsky Ballet’s production of Cinderella at the Festival Theatre in Edinburgh. It was a wonderful experience, our first to the ballet but not the last. Here are the sketches I made for the EIF blog and a few words to go along side. 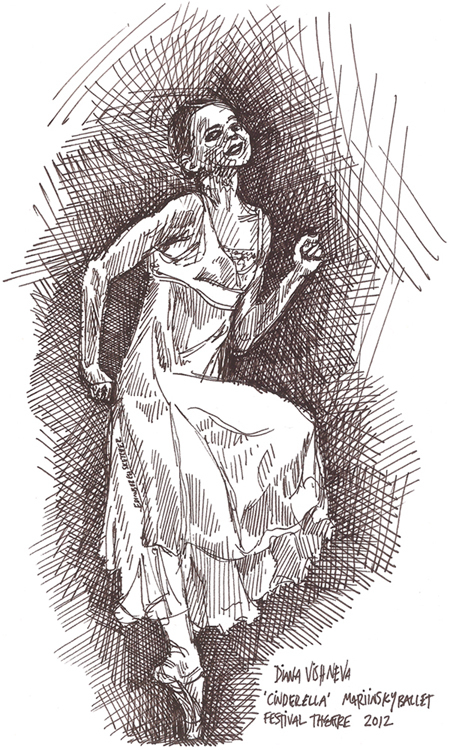 Thanks to the Edinburgh International Festival for taking a chance on EdinburghSketcher and sending me to see some amazing performances throughout this years festival. 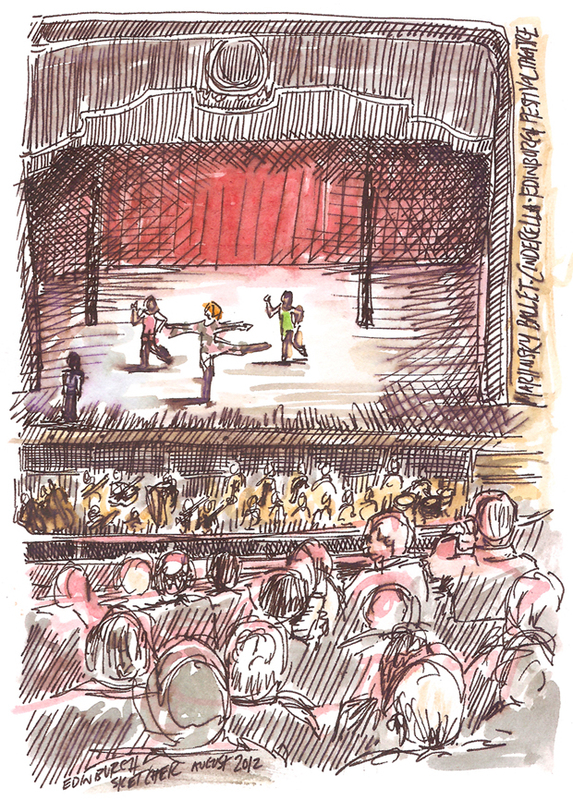 If any theatres in Edinburgh would like to be sketchreviewed or would like the EdinburghSketcher treatment for promotional use then please get in touch HERE. 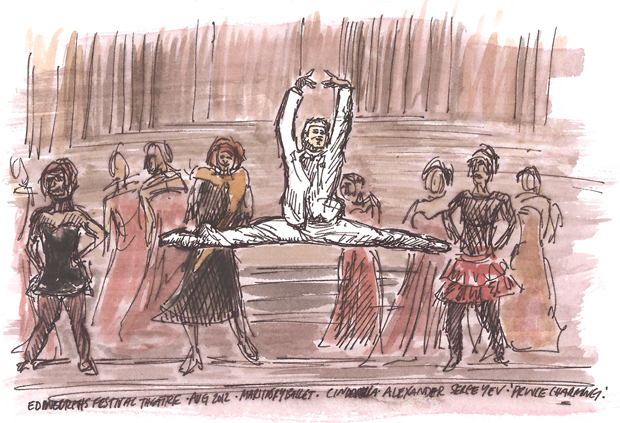 “It was the first time Mrs Sketcher and I have been to the ballet, and I think we may have been spoiled. The Mariinsky Ballet from St Petersburg was performing Cinderella, making their Festival debut. Together with the Mariinsky Theatre Orchestra conducted by the great Valery Gergiev the stage was an explosion of colour, drama and emotion.